Ramses II was born in 1303 BC to Pharaoh Seti I and his wife Queen Tuya. Ramses was named after the great pharaoh Ramses I, who was his grandfather. Born in ancient Egypt, Ramses was five when his father took the throne. He was educated by his father and was trained to become the leader of Egypt, but he was not the only one to receive this training. He had an elder brother who was first in line to the throne, and as the eldest son of the pharaoh, his brother was made prince. For reasons which are unknown, he died an unnatural death at the age of 14. After the untimely demise of his brother, Ramses was declared the prince regent by his father also at the age of 14, and then pharaoh at the age of 25. After becoming prince regent, he helped his father with his military expeditions and by the age of 22, he was leading the Egyptian army and became their commander. It is a well-known fact that as a young pharaoh, Ramses II fought fierce battles to secure the borders of Egypt against the Hittites, Nubians, Libyans, and Syrians. Later, even as ruler, he was remembered for his notable military contributions. His command over the Egyptian army was remarkable. At a young age, he commanded a small troop against the Hittites and fought one of the oldest battles recorded in history. Although the Battle of Kadesh was fought for a significant period of time, it did not have a conclusive outcome. 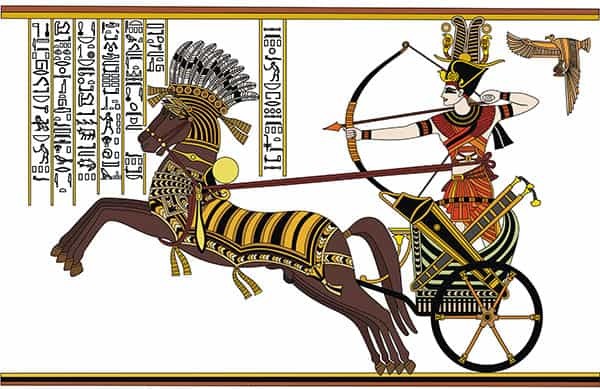 Ramses II led his 20,000 men with about 5,000 chariots against the magnificent Hittite army. Ramses fought fiercely, escaping death on the battlefield to reclaim the provinces he had lost to his enemies. It is not clear who won or lost the war. Nonetheless, Ramses emerged as the hero of the hour. As the third pharaoh of the 19th dynasty in Egypt, Ramses went down in the pages of history as one of the bravest and most strategic war heroes. His long reign saw remarkable military advances, and the expansion of Egyptian territory under his rule was massive. Ramses II had a major fascination with architecture. During his long rule, he built and reconstructed several structures, monuments, and temples. His reign saw great architectural achievements in terms of diversity and design. Two great works that took place under his guidance were the gigantic temples of Ramesseum and Abu Simbel. Both these temples display a new style of architecture in terms of size, design, and complexity. The unique features that were common to both these temples were the giant statues of Ramses himself. The Ramesseum temple was built on the banks of the river Nile and was treated as Ramses’ mortuary temple. Abu Simbel was located in Nubia in the south of Egypt, and its grandeur can still be seen today. At the entrance to Abu Simbel, there are four massive figures of Ramses II sitting on a throne. Each of these figures has an estimated height of about 66 feet (20 meters), and three of them have survived the test of time. However, the fourth figure has been badly damaged. The temple is now protected and is also a major tourist attraction. The reason why his statues were built alongside the temples was because he had celebrated about 14 “Sed festivals” during his reign. The Sed festival was celebrated to mark the jubilee year of 30 years in power and repeated every three years after that . When Ramses had reigned for 30 years, by tradition he was made an Egyptian god. As well as these temples, Ramses also built a new ancient Egyptian capital city. This capital was known as Pi-Ramesses. Under his rule, the city flourished and the infrastructure was exceptional. Unfortunately, the capital didn’t survive the test of time and its glory was lost when it was abandoned by the people. Ramses was declared prince at the age of 14 and he ascended the throne at the age of 25. He reigned from 1279 BC to 1213 BC, a total of 66 years and two months and he lived to the age of 90. It is believed that at the end of his life he suffered from arthritis and other diseases. His was one of the longest reigns of a pharaoh in ancient Egypt. He was succeeded by his 13th son Merneptah. When Merneptah succeeded the throne after Ramses, he was nearly 60 years old. Ramses II married two queens when he was just a prince. His first and most beloved wife was Queen Nefertari. It is said that Ramses II had over 200 wives and concubines and over 100 children. Nevertheless, it was Queen Nefertari who went on to rule with Ramses II. 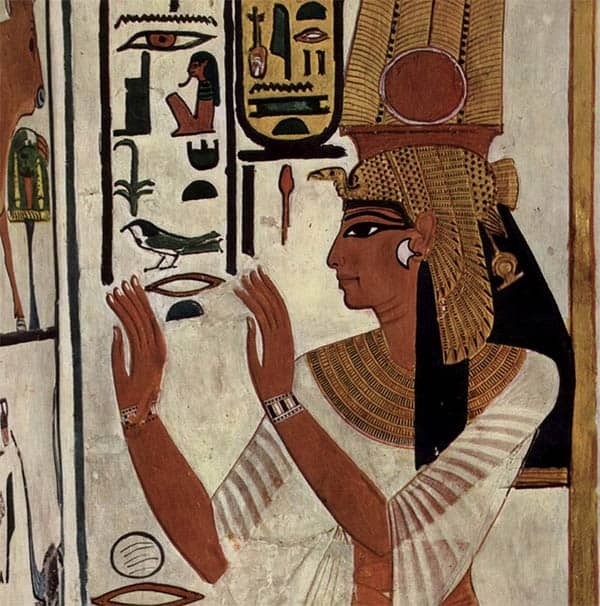 Nefertari was referred to as the Royal Wife of the Pharaoh. After her death, a spectacular tomb was made to honor her. Her tomb, the QV66, is regarded as one of the most celebrated pieces of decorated architecture in Egyptian civilization. The tomb has beautiful wall carvings and paintings of the queen, and Ramses made sure that the tomb of his beloved wife was one of the most magnificent in the Valley of the Queens. The Sherden sea pirates were a massive threat to the maritime business of ancient Egypt traders who were severely affected by the terror that these pirates inflicted. Ramses decided to put an end to this. With a strategic plan and with great chivalry he ended the reign of the Sherden sea pirates, gaining much appreciation for this and becoming more popular amongst his courtiers as a result. The concept of signing a peace treaty became popular in the 19th century. However, Pharaoh Ramses II was far ahead of his time. As the third pharaoh of ancient Egypt he was amongst the first ruler in the world to sign a peace treaty. In fact, the peace treaty he signed with the Hittites is the oldest recorded peace treaty in the world. As the Battle of Kadesh did not reach a definitive conclusion, both parties resorted to signing and abiding by a peace treaty. The exact details of the treaty are unknown but it’s said that the Hittites stayed out of Egyptian territory and respected the treaty. After Ramses II died at the age of 90, his mummy was kept in the Valley of the Kings. Just like the tomb of his beloved wife, Ramses too had a spectacular tomb, but this came at a cost, and to keep the mummy safe from thieves, it was later moved to another place. Presently, the mummy of the great pharaoh resides in the Egyptian Museum, Cairo. Thorough research has revealed that the great pharaoh had sharp features with a strong jaw and sharp nose. It was also found that Ramses had naturally red hair. Some historians have even claimed that he had a tall muscular figure which can also be seen in his four gigantic statues constructed in Abu Simbel. 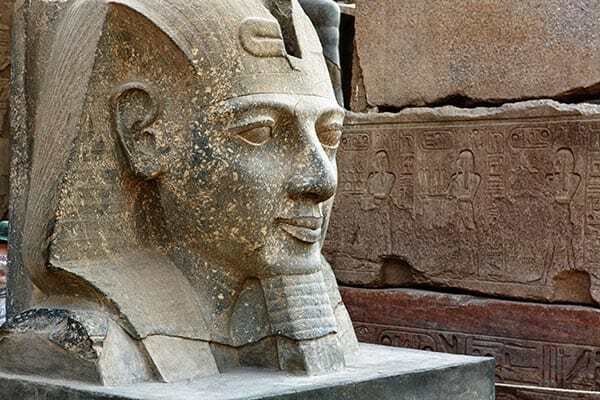 The Bible mentions that Moses asked a famous Egyptian pharaoh to set the Israelites free and many historians believe that Ramses II was this great pharaoh. Ramses II was no doubt powerful, and the 14 Sed festivals of his reign made him a god-like figure amongst the people. Could this make Ramses the powerful pharaoh mentioned in the Bible? This great pharaoh is remembered not only for the number of wives and concubines he had but also the number of children he fathered. Historians can’t give the exact number with confidence but the rough estimate is close to 100 . Not many of these survived, however, and his immediate successor was not his first son, but his third. Reigning for such a long time, he outlived many of his children, and his eventual successor was his 13th son. Being the second-longest ruler of ancient Egypt, Ramses II was one of the most powerful pharaohs that Egypt had ever witnessed. The kingdom flourished under his rule and prospered in every aspect. His long rule made him a divine figure amongst the masses. The buildings which were constructed during his reign still survive today and are major contributors to the Egyptian tourist industry, generating a handsome revenue.